Today’s post is a sale find from Ann Taylor Loft, the Full Bloom Romper. Use code FIFTY on for 50% off of this romper, and also many other items currently on Loft.com. Accessories are Jimmy Choo Lang sandals in Jazzberry (from last summer), Neiman Marcus has the Lang sandal in Geranium and several other colors on sale. 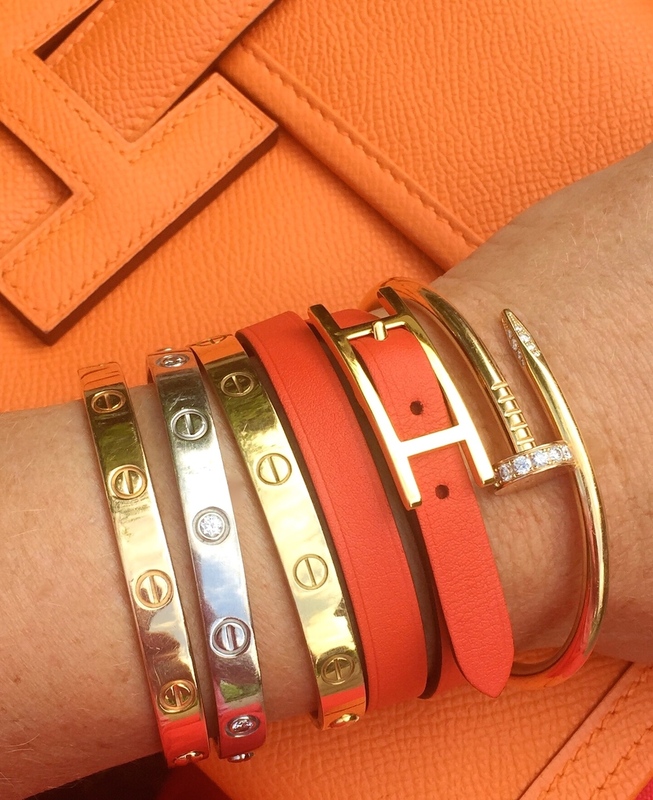 Hermes orange Jige clutch. Bracelets by Cartier and Hermes Hapi leather wrap.